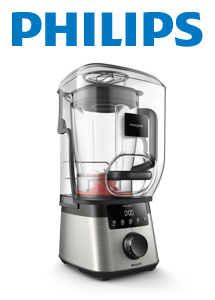 The Innergizer Pro Blender from Philips is now available from EPE. The HR3868/01 has ProBlend Extreme technology; this allows the nutrient-release technology to unlock nutrients from cells to be absorbed by the body. Features include 2L Tritan Jar, 2000W Power and 45,000RPM. The Innergizer has a digital UI Screen with 5 pre-programmed modes, Manual mode with variable settings and 40 nutritionally selected smoothie recipes to suit your needs.